Happy Birthday to all My Scorpio's. We welcomed Scorpio Season in the early hours this morning and we said goodbye to our loving Libra. We have switched from our Masculine Cardinal Air sign (Libra) to the Feminine Fixed Water Sign of (Scorpio). Feminine (Duality) is Receptive and Magnetic. People and Things come to you with ease. Fixed (Quadruplicities) is the quality of your interactions. Fixed signs are resistant to change due to their perfectionist tendency. Water (Triplicities) is the element in which symbolizes specific characteristics of a sign. Water signs are emotional and intuitive. The symbol of our 8th Zodiac Sign, Scorpio, is represented by the Scorpion: a lethal, poisonous creature that can paralyze its prey with one sting from its tail. Thus creating this long living myth that Scorpios bring nothing but fear, hatred, and suffering. It's believed that the other zodiacs are intimidated by Scorpios, which is not the case. Scorpio is like a phoenix rising from the ashes with its ability to transform. Scorpio is also symbolized as a soft and tender inner being who guards itself with a shell and stinging energy. Scorpio is a Warrior. She dives into the depths of her core and releases her power through the spiritual realm. She transforms through the art of Magic. She creates through her dominant desires. She is curious, imaginative, emotional, investigative, focused, and doesn't respond well to be interrupted while she is working. Scorpio is ruled by Pluto,♇ , the planet of death and rebirth. When we see Pluto in Scorpio this can be a very powerful time full of turmoil and revolution. (*I was born when Pluto was in Scorpio) Pluto is often very misunderstood as his energy is inexplicable and difficult to understand. Thus, it's important to look at here Pluto is on your horoscope. (Find it Here) Pay attention closely to where Pluto is for you as it will bring big change and transformation. If you have ever experienced or feel yourself experiencing a "whoa, where did that come from" moment - that is Pluto getting to work and changing everything up on you. It brings to light all the deep desires of your subconscious mind. and remember, Scorpio creates best through her desires. Scorpio is the Ruler of our 8th House: The House of Death and Regeneration. When Scorpio Sun meets with the 8th House, we see someone with deep insights. When Pluto meets with Scorpio in our 8th house, we see a strong drive toward achievement and a very resourceful energy. Even though Scorpio and Pluto see both death and regeneration - do not fear my scorpions. Scorpios do not fear death, rather stand straight in the line of fire and take on anything that comes at it with a "You can't break me" energy. Scorpio is fearless and doesn't mind the chaos that surrounds her. The Keyword for describing Scorpio is Intense. This sometimes gets confused for Intimidating. 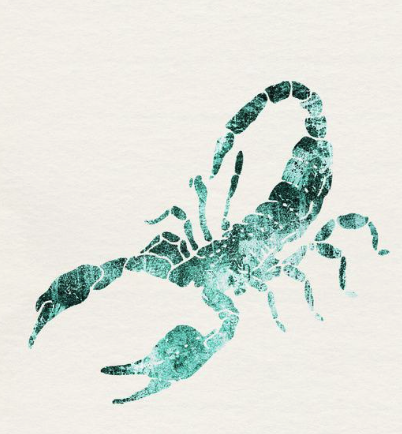 Scorpio energy is fiercely independent, powerful, and passionate. They feel everything and dive into their emotions more than others. This is huge for those with their Moon in Scorpio, as the moon controls our emotions. Scorpios are truth seekers, they navigate through their intuition and instinct. They chase life, unafraid of what comes next as they welcome every experience good or bad. They embrace learning as they go as they are in unknown territory. As Scorpio-Suns, they find a way to embrace their inner magic and use it to expand their high vibrational body. They have a gladiator spirit and channel their energy into positive goals which bring them to their higher self. Due to their emotional body being so exposed, Scorpios often appear complex people who can't express how they feel without becoming closed off. Non-Scorpios may see you as over-controlling, too ambitious, conceited, and power-hungry because you like to express yourself loudly when you do. On the other hand, you are very likable due to your passionate and emotional abilities to listen, offer advice, and ability to be right when it comes to your hunches about people motivations and energies. As we step into Scorpio Season, whether your a Scorpio or not, breathe into your intuition and spiritual side. Allow yourself to feel into your emotional body, each trigger, and suppression so that you may step out of your comfort zone find the power of transformation. Many of us find it much easier to suppress our emotions and keep them hidden from our conscious mind so that we don't appear vulnerable and weak. This is the season to break down those walls of these preconditioned patterns. Use your emotions as magic to create higher vibration as your walk through this transformation. Accept your emotions as your own and don't let any tell you that your emotions aren't valid. If someone questions your magic and intuition, don't attack. A Scorpio loves knowledge, so meet these questions with knowledge. Questions with Questions until answers are met. 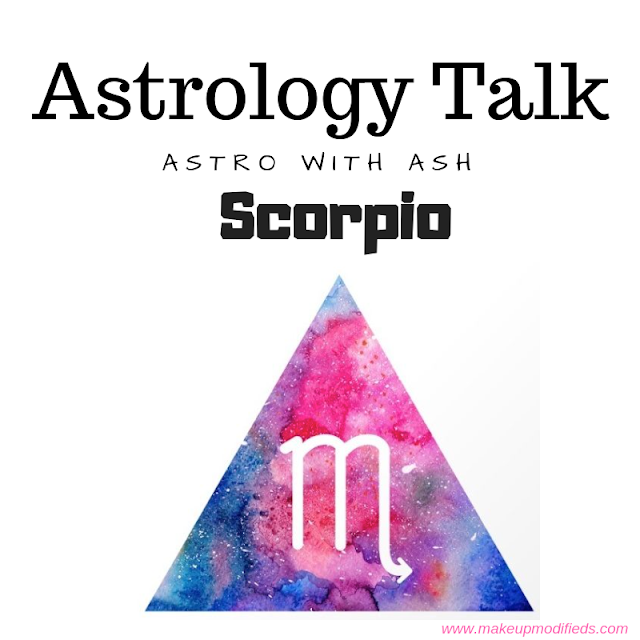 When a Scorpio talks, people listen, but it's a Scoprios duty as a natural born leader to listen back. Love Yourself and Love Other People.